Ganesha the elephant-headed god, one of Hinduism’s most well known faces, is steeped in symbolism. 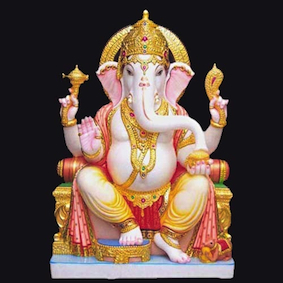 Over the ages, the story of Ganesha’s unusual birth and his unique form have been interpreted in various ways. 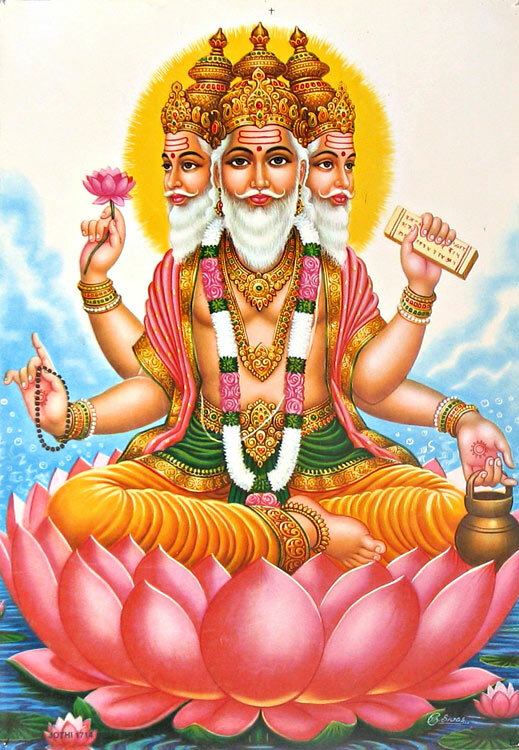 For the purpose of this post I have taken the most widely accepted versions and in the true spirit of Hinduism given you my own intuitive understanding of them. Ganesha is said to be the physical form of the symbol Aum. Aum is the symbol of Creation. 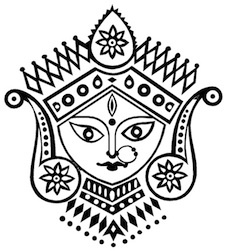 It represents the unmanifest Shakti which manifests as Prakriti or Nature. Thus Ganesha born of Shakti represents all Creation. The mantra Aum is also Pranava, the prime mantra through which all existence is known. 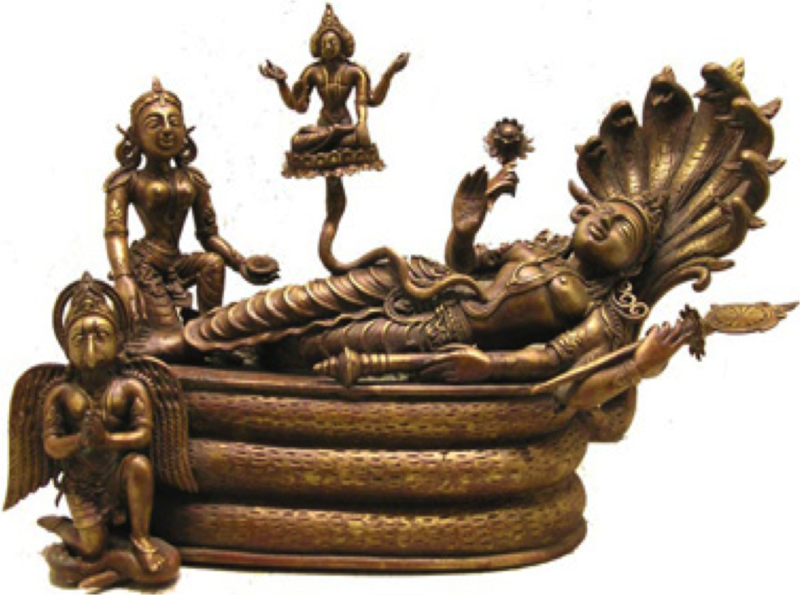 ‘Pra’ means Prakriti and ‘nava’ is the boat which helps us navigate the endless ocean of Creation called Prakriti. So it is through her son that we may know the mother. Hence, Ganesha is also associated with the Muladhara Chakra which is the seat of Shakti. By meditating on Ganesha the Kundalini Shakti is realised and awakened to remove all obstacles and transform us. As Parvati created Ganesha by herself with no help from Shiva, he is our direct link to Nature of which we are also a part. Ganesha leads us to ourselves. Parvati created Ganesha so that he may guard her honour. Hence Ganesha is portrayed as the typical mother’s boy who adores her and above all protects her. Thus he is ‘Ganesha- Guardian of all Beings’. 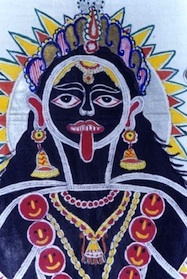 In protecting all of Creation, he protects Prakriti his mother. “Though Ganesha is worshiped as the elephant-headed God, the form (swaroop) is just to bring out the formless (parabrahma roopa). He is, ‘Ajam Nirvikalpam Niraakaaramekam.’ This means Ganesha is unborn (ajam), he is without attributes( Nirvikalpa), he is formless (Niraakaar) and he symbolizes the consciousness which is omnipresent.” Which brings us back to why Ganesha is associated with Aum. As for Ganesha’s form, the big elephant head symbolizes intelligence and wisdom. His big ears pick up on the softest of prayers whispered by his devotees. His small shrewd eyes miss nothing and his trunk represents discretion. An elephant may use his trunk to fell trees or pick up a blade of grass depending on the situation. He is Ekdanta, the one with a single tusk. This stands for single mindedness.His big belly holds all the knowledge of the Universe. The second hand holds a noose to rein in the wandering mind while the third has the goad to push people onto the path of righteousness. Finally, the fourth hand holds a sweet modak which shows his eternal childlike nature. Om Gan Ganapataye Namah !! 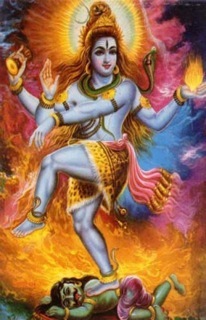 Shiva, the Lord of Dance, is forever dancing his Cosmic Dance. You’ve seen him as the Nataraja, lost in a trance, keeping the rhythm of the Universe with his dumroo( drum) and dancing to its beat. Holding a trident in one hand, a deer in another, he is seen striking a beautiful pose with one leg lifted, the other placed on a dwarf. His matted locks, unfurled, spread out like rays reaching the outer edges of the Cosmos. 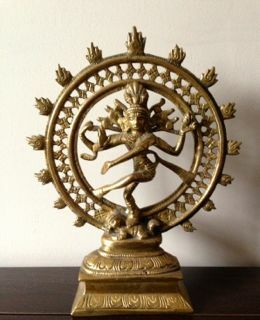 As Nataraja, he shows us the cycle of life and death, Beginning and End. 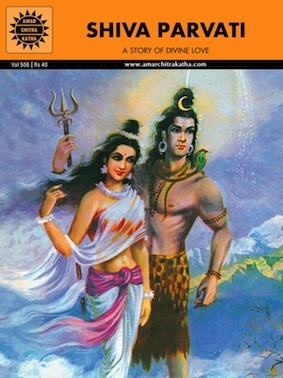 There are times however, when Shiva will take on his Rudra avatar( Harsh Self) and dance the Tandav Nritya, the dance of destruction. He dances at a furious pace,to the beat of his drum. Bom, Bom it vibrates, causing wild thunder storms all around the universe, even shattering the sun, the moon and other stellar bodies. 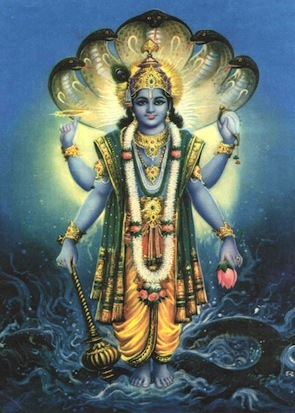 Brandishing his trident, he destroys Tripura, the three worlds. He tramples upon the dwarf of ignorance and conquers death, displaying its skull on his head. But, for those who are dare to look at this terrible sight, he raises his right hand to say ‘be fearless’; for what is being destroyed is only your ignorance, you ego; the illusion that you are just this. And then, if you pay close attention you will see a crescent moon shinning on his forehead, and you will know it is going to be light again and darkness will be gone. As your ignorance is destroyed,you will find enlightenment . Thus, while Brahma creates the Universe and Vishnu drives it, Shiva destroys it, both within and without, so that it may be created again.